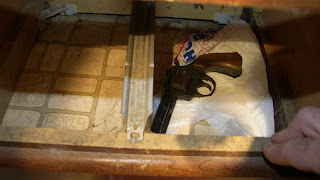 On Mar 27, 2010 20 people signed up for a basic pistol class at held at the Levy County Sheriffs Office. This class was a fundraiser for the Trenton Relay for Life Event that will be held in May and hosted by the American Cancer society. Saturdays event although small in nature was well recieved and raised over 1300 for the America Cancer society. The Instructors particpating in this event were Scott Finnen of the Levy County Sheriffs Office and Ray Trembly of Chiefland Police Department. 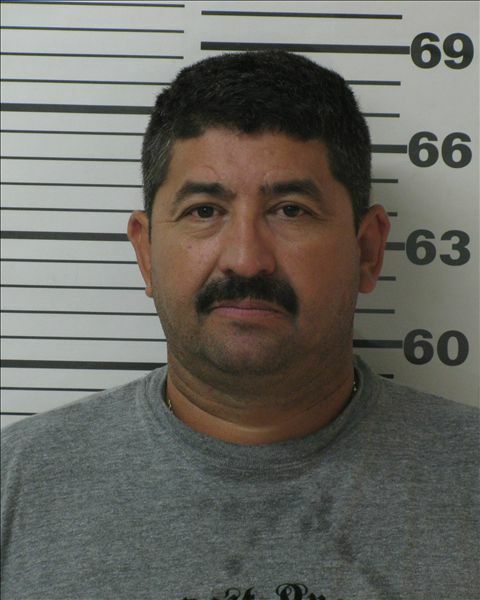 Morriston, Florida-On September 4, 2009 Detective Roger Bell arrested Ruben Sanchez-Perez for sexual battery and lewd and lascivious molestation on a child under 12 years of age. 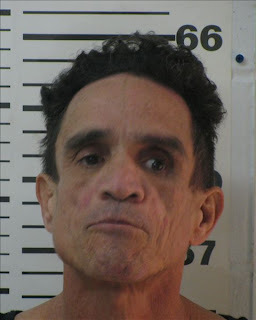 On September 3, 2009 the victim reported to the Levy County Sheriff's Office that Sanchez-Perez has sexual assaulted her since she was 6 years of age. The victim is known to Sanchez-Perez and would often stay with the suspect at 2990 SE 199 Terrace Morriston, Florida. Sanchez-Perez is from Mexico but recently acquired a legal resident card. Sanchez-Perez was arrested and transported to the Levy County Jail with a $ 200,000 bond. 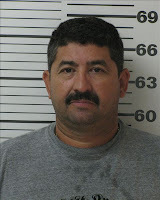 On March 24, 2010 Sanchez-Perez plead to 25 years in prison on the lewd and lascivious molestation on a child. Sanchez-Perez is currently in the Levy County Jail waiting to be transferred to the Department of Corrections. Williston, Florida-Debbie Phillips a resident of 215 NE 212 Court Williston called the Levy County Sheriff's Office and stated that she heard what she thought was a gun shot, but when she looked out her window she discovered a plane had crashed in the field behind her house. Levy County Sheriff's Deputies, EMS and Williston Fire Department responded to the scene and discovered an experimental small airplane upside down approximately 300 yards from the above residence. Deputies have confirmed that a 73 year old white male was deceased in the experimental airplane. 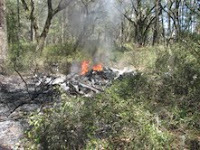 Upon further investigation a second airplane a Piper 32 was discovered fully engulfed in flames approximately 400 yards to the west of the experimental plane. The Williston Fire Department extinguished the fire with water and foam and discovered two unidentified bodies in the second airplane crash. Preliminary investigation reveals that the experimental airplane left the Ocala Airport this morning and the Piper 32 left the Williston Airport. The two had a mid air collision around 11:45 AM and the weather condition was sunny with clear skies. The Emergency Management Community Emergency Response Team (CERT) is assisting at the scene which encompasses an area that is approximately ½ of a mile long and ¼ of a mile wide. The Federal Aviation Administration investigators are also responding to assist in the crash. The flight plan and circumstances of the crash are unknown at this time. No identifications will be released until the next of kin are notified. The pilot of the Experimental airplane has been identified as Lee Hanley Sentman III, 01/27/37 from Summerfield, Fl. Detectives with the Levy County Sheriff's Office and FAA have tentatively identified the two that were killed in the Piper airplane. crash. The next of kin have not been notified because they live out of the country. FAA Investigators have not determined the cause of the mid air collision. On March 24, 2010 the Medical Examiner's Office positively identified the pilot and his wife in the tragic mid air collision on March 20, 2010. The pilot, Rainer Salm, 60 and his wife Alice Stuebling Salm, 34 from Morriston has been positively identified. On March 17, 2010 Ms. Vaunita Babb was honored by the State of Florida Department of Children and Families. The 14th annual Families Up Front Awards was held at the Alachua County Woman's Club. 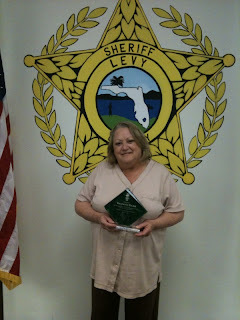 Ms. Babb has worked for the Levy County Sheriff's Office for the past 9 years as a Records Clerk. She was recognized for her outstanding service assisting the Dept. of Children and Families. Sheriff Smith is very proud of Ms. Babb who is an extremely dedicated and hard worker. In light of the tragedies that we as a community have recently faced due to traffic crash injuries and fatalities, the Levy County Sheriff's Office Community Relation Division is offering a no cost Realities of Driving presentation to drivers of all ages. At times drivers can become complacent in the driving habits and this reality based presentation is designed as a wake up call for every driver. We can all use a refresher on safe driving habits, so please join us for this free two hour presentation. If you have any questions please call Lt. Sean Mullins at 352-486-5111. Bronson, Florida-On March 17, 2010, the Levy County Sheriff's Office Drug Task Force executed two drug search warrants in the Bronson area. Several undercover drug buys were purchased from the residences prior to the early morning raid. The first residence drug agents executed the search warrants was at 11811 NE 66 Lane and arrested Gary Colon and Sierra Laquisha Woodley. Colon was arrested for sale of marijuana, possession of marijuana with intent to distribute and possession of controlled substance roxycodone. 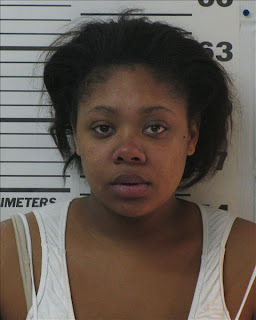 Woodley was arrested for two counts of sale & possession of marijuana, possession of more than 20 grams of marijuana and possession of marijuana with intent to distribute. Drug agents confiscated 11 ½ ounces of marijuana and roxycodone pills. The second residence was located at 11791 NE 64th Pl., Bronson. Prior to execution of the search warrant, three controlled narcotic buys were made at this residence. 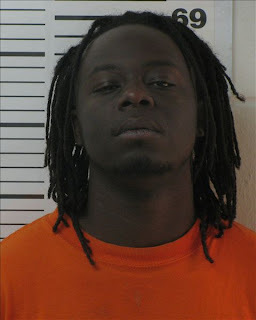 Drug agents seized a .22 caliber revolver and marijuana and arrested Carlos M. Green for three counts of sale of marijuana, three counts of possession of marijuana, possession of less than 20 grams of marijuana and possession of firearm by a convicted felon. Green is a convicted felon with a past criminal record for possession of cocaine. 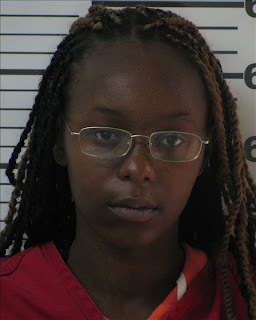 The second person arrested was Kendra R. James and charged with maintaining a drug dwelling and possession of less than 20 grams of marijuana recovered on the search warrant.